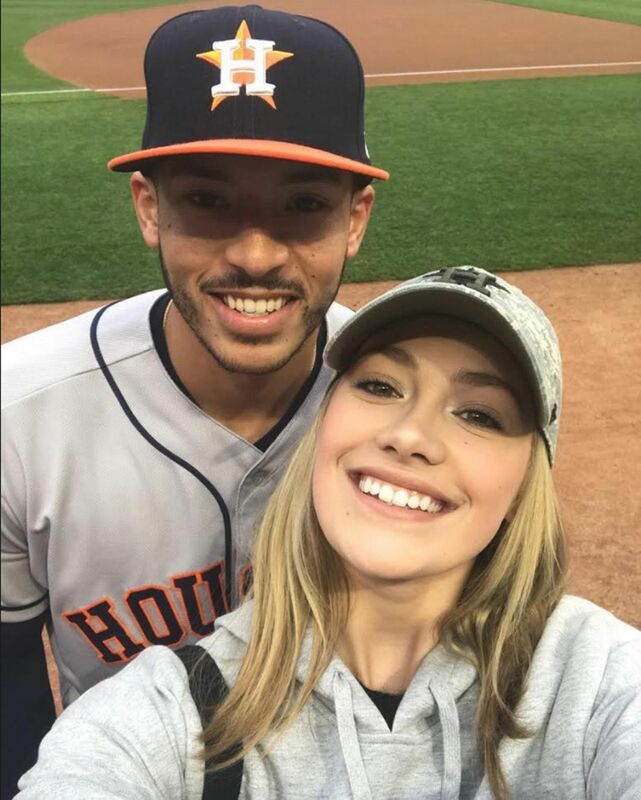 LOS ANGELES • About 20 seconds after Houston Astros shortstop Carlos Correa won a World Series ring, the 23-year-old gave out another on Wednesday. He dropped to his knees and asked his girlfriend, Daniella Rodriguez, to marry him. The 2016 Miss Texas USA said yes. "It doesn't get any better," Correa said after his team defeated the Los Angeles Dodgers 5-1 in Game Seven, bringing some joy to a city ravaged by floods. The Astros won the best-of-seven series 4-3 for the first franchise title in their 55-year existence, and did so against a Dodgers team that had Major League Baseball's best regular-season record (104-58). The Astros jumped on Dodgers starting pitcher Yu Darvish early, scoring all five runs in the first two innings before riding a long string of relief pitchers to the win at Dodger Stadium. "We did this for them," Astros second baseman Jose Altuve said of the fans in Houston, who are still recovering from the deadly Hurricane Harvey which hit the city in August. "There has been a lot going on in Houston the last year (and) they are the biggest reason why we are here." Astros centre fielder George Springer was named the Most Valuable Player of the World Series. The 28-year-old smashed five home runs in the series, equalling the record held by Reggie Jackson and Chase Utley. The Astros finished with 15 home runs, breaking the World Series record of 14 set by the San Francisco Giants in 2002. "To bring a championship back, to a city that desperately needed one, is a surreal feeling," said Springer.